For those unfamiliar with the series, Super Smash Bros. is a fighting game featuring a variety of Nintendo characters, ranging from the obvious (hey, look, it's-a Mario!) to the less obvious (no, I don't know who this is either). Since the third game, "guest" characters from other companies' games have also appeared, with the caveat that they've been on a Nintendo console (however briefly) at some point. Though the gameplay is based on fighting games, it's comparable to the Mario Kart series of racing games, in that its gameplay is bit simplified and it features a lot of wacky gimmicks (and, you know, Mario). It's meant to be a fun game that anyone can pick up and play, though unlike the Mario Kart series, the gameplay in Super Smash Bros. apparently has enough depth that it's still an eSport mainstay. The primary goal of a fight in the game is usually not to deplete the other player's health, but instead knock the other player(s) off the stage, further differentiating it from more traditional fighting games. 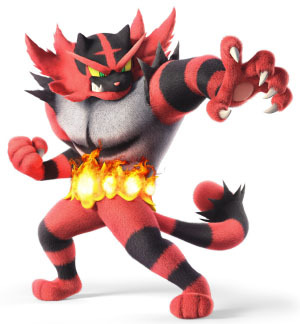 Ultimate, as its main draw, includes every single fighter from its earlier releases, so you've got quite a few returning furry characters, including Donkey Kong, Yoshi, Fox, Bowser, Falco, Diddy Kong, Sonic, Wolf and Bowser Jr.. And that's leaving out the Pokémon, various anthropomorphic non-human characters not really based on animals, and the largely non-anthro Duck Hunt dog. 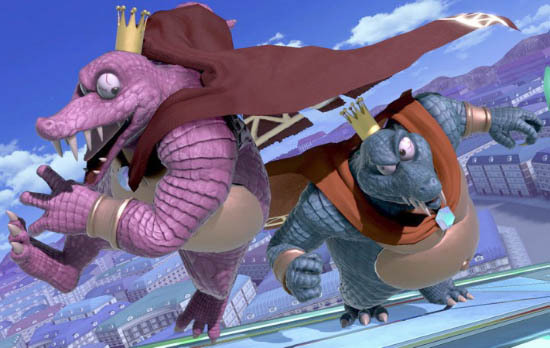 Unlike the series' last 3DS release, most of the new characters are actually pretty furry; these include Inkling, an anthropomorphic squid; Ridley, technically an alien (but nobody objected much when I called him furry back in 2011); King K. Rool, an anthropomorphic crocodile; Isabelle, an anthropomorphic dog; and Incineroar, a Pokémon with above-average anthropomorphic qualities. However, only the original eight fighters are available at the start of the game, meaning you'll have to make due with Fox, Yoshi and Donkey Kong at first. Given how many characters there are though, unlocking them is exceptionally easy - I took about three days to unlock them all, and I wasn't playing every minute. If you're really willing to grind it out, I've heard estimates as low as an hour and a half to unlock every character. Besides the characters, this is the second Super Smash Bros. game to actually have a story mode, and it takes this opportunity to really streamline the single-player game. In previous games, you had Event Mode, which featured a series of themed fights, each with a variety of gimmicks; Trophies, unlockable collectibles which could be gained in some form of mini-game since the second game; and Adventure Mode, which featured a side-scrolling game broken up by fights, which was as close to a "story mode" as you got. 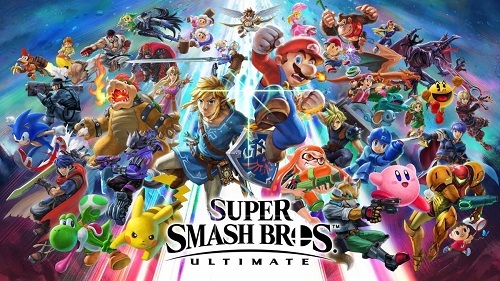 In Ultimate, these three aspects have been combined with the story mode. Instead of trophies, you collect "Spirits". Instead of a side-scrolling platformer, you fight a series of event-type matches designed to mimic the (non-playable) characters that the Spirits represent. Furthermore, you can have a team of up to four Spirits (one Primary and up to three Supports) that can nullify hazards and boost your fighter. Primary Spirits come in four types, three being basically "rock, paper, scissors" to each other with a fourth neutral type. They can also be leveled, bringing them up to a power level which, when put against an enemy spirit, determines the difficulty. So, a low-level enemy Spirit can be breezed through fairly easily with whatever team, but later Spirits require higher-level Spirits to remain competitive, with further bonuses if you have a type that's good against it. Now, I call this the Story Mode, but it's not very complex: bad Light guy captures everyone but Kirby, who escapes and begins freeing everyone. Eventually everyone is freed, and you fight the Light guy (and there's a kind of twist, but in a "well, duh" way). The game has a Classic Mode, which features a series of more or less standard battles in a row followed by a boss fight, but unlike a few of the more recent games, there seems to have actually been some thought put into this mode. Each character has his own unique, thematically appropriate series of characters to beat, which is nice. Also, at the end of this mode, Ultimate brings back a "shoot the credits as they go by" mini-game. Other modes have also been streamlined; basically, you have Multi-Man Melee and Training, and all the extraneous mini-games have been removed. All-Star Mode, which featured your fighter progressing through all of the fighters featured in a release, is more or less missing, having now turned into an option in Multi-Man Melee. The multiplayer mode has been largely revamped, allowing you to choose a stage before you choose fighters for the first time; you also have the option to choose multiple forms of each stage. These include Final Destination (a simple flat plane) and Battlefield (a simple plane with three platforms at the center), as well as an option to turn off stage hazards (which could make otherwise perfectly fine stages completely unplayable - there have been a lot of bad stages in these games). There's still a mode that allows you to add bizarre things (like all characters are invisible or metal or have damage-inducing flowers stuck to their head) if you're into that. But Coin Mode, which I don't think anyone has ever played beyond what's necessary for in-game challenges, has finally taken the hint and left. Finally, there's a mode which allows you to pick a team of five or three characters, rather than stick with the same character's multiple stocks. There are just way too many new items (which can be turned off for multiplayer), some of which are fun, some of which aren't. There are new Assist Trophies and Pokémon helpers available via item; of particular note is Ditto, who was supposed to be in the game as far back as the second game in the series (and even, if I recall correctly, made the official guide book), but was cut when he caused the game to crash every time he was activated. I would also like to point out that although Krystal still isn't playable, she must not have done too bad on all those fan polls. 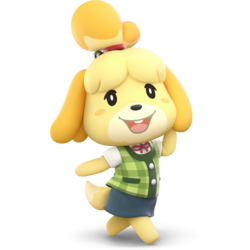 Despite the fact that the last three games she's appeared in are, in fact, the last three Super Smash Bros. games (and only as minor collectibles or as an Easter Egg), without even being in the last three Star Fox games, she's managed to gain Assist Trophy status. Really, Ultimate has focused on the right things (basically, fighters) while cutting a lot of the junk that had accrued within the series for no real reason. If you're a fan of the game, I mean, you're going to get it anyway, but it's pretty good. 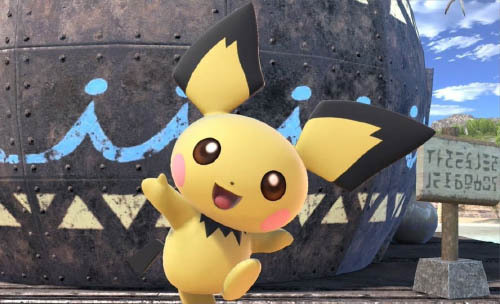 It's a solid release, and worth it all just to have Pichu back. I wish they could add that stage builder again. The adventure didn't feel so much like it due to the main thing just feeling more like a level select map. If they've added free roam on the map, like a Link to the Past style adventure, that would of been so much better. I think the spirit adventure can teach you some things you can do with the game to make it fun. Like I just did this one match against "Malon", who had cuckoos and lonlon milk spawning on mass. Which added a funny element to the fight where you're running around trying to heal with the milk while trying not to hit the cuckoos (or throw them at your opponent).